And watch the sun go down on Galway baize... Irish snooker champion Kevin Monroe practising at the City Limits snooker lounge. 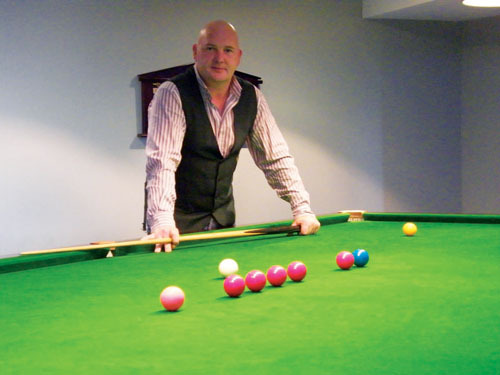 Galwayman Kevin Monroe, the Irish masters snooker champion, is getting ready for the World Championships next month by practising on the pristine tables at the new snooker lounge at the City Limits complex in Oranmore. Kevin will be doing his upmost to bring back the World Masters title to Galway city. He has previously represented Ireland in European and World Competitions and will be hoping for better luck this time around. In preparation for the world title Kevin is practising regularly in the snooker lounge at City Limits, as he feels that the tables there are of a high professional standard giving him the best conditions to prepare himself for the world championships. Due to limited availability it is advisable to reserve a table so call City Limits on 091388100 or alternatively email [email protected]. Page generated in 0.1844 seconds.